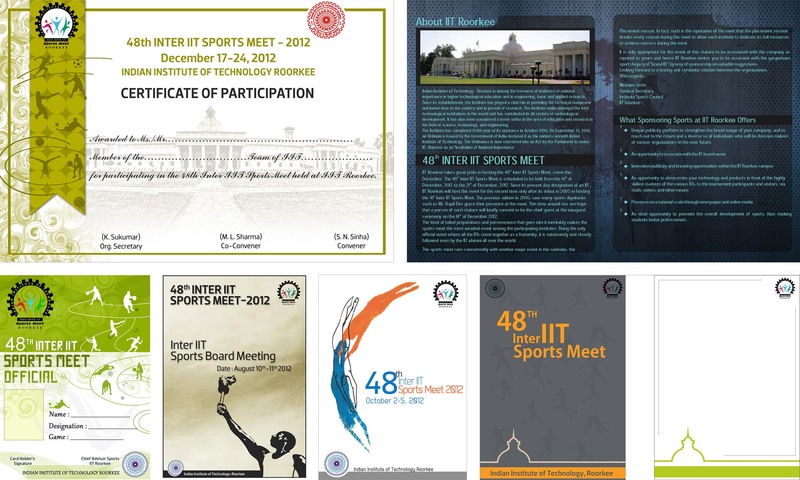 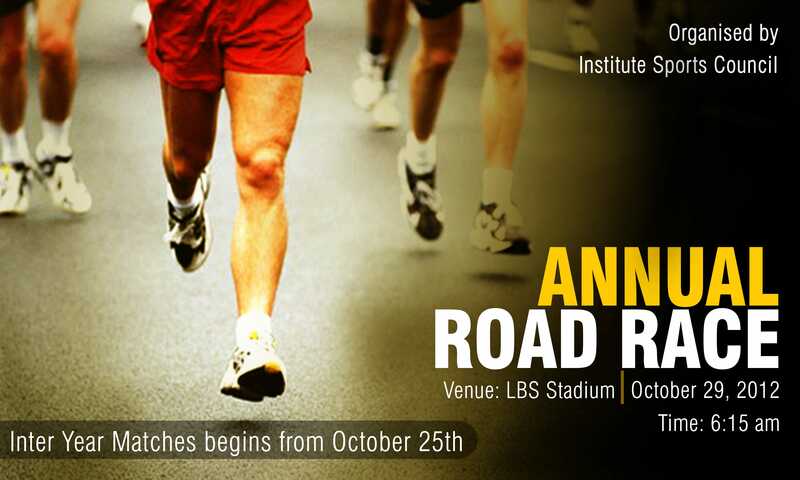 Inter IIT Sports Meet is the annual sports tournament of the Indian Institutes of Technology and was organized in December 2012, in Indian Institutes of Technology, Roorkee. 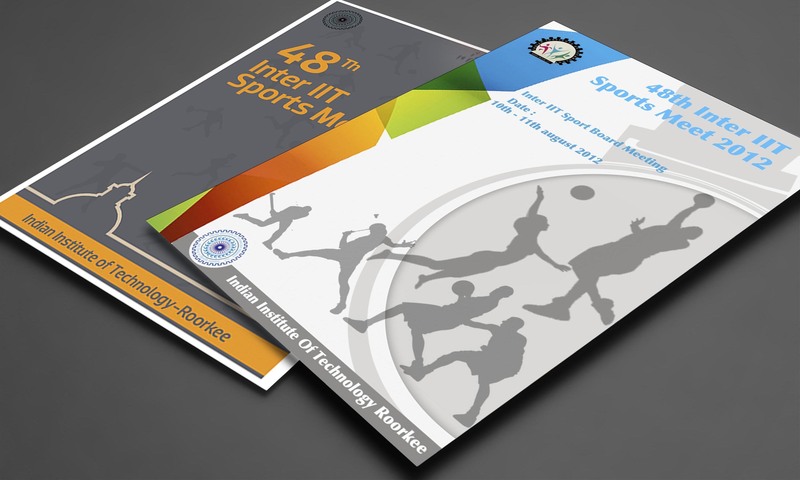 As a part of promoting the sports and fetching sponsorship from large organizations, I was nominated as the Design Manager for the overall event to design sponsorship brochure, notepads, Posters, banners, and other design accessories. 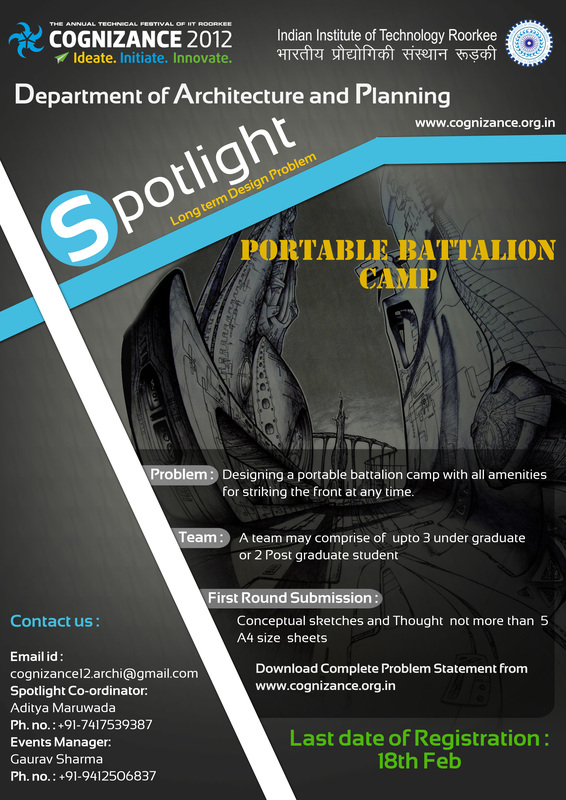 Apart from setting up design standards and developing the whole theme for the fest, I managed a team of seven designers. 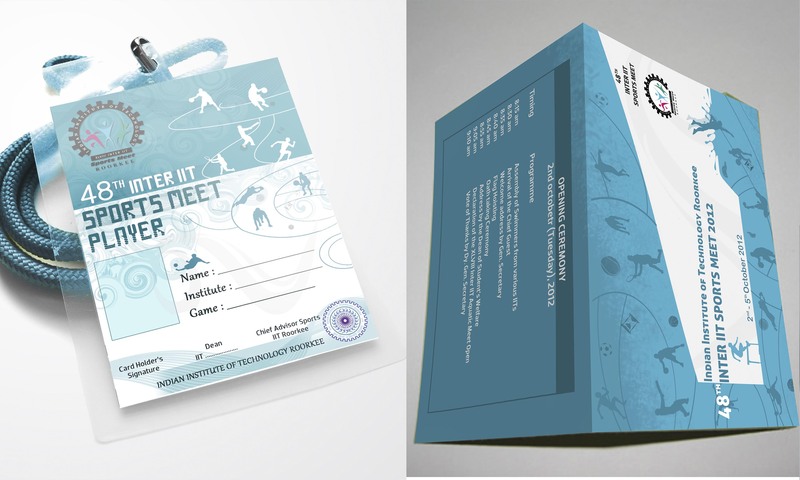 Left image: Identity card designed for participants, volunteers, and coach. 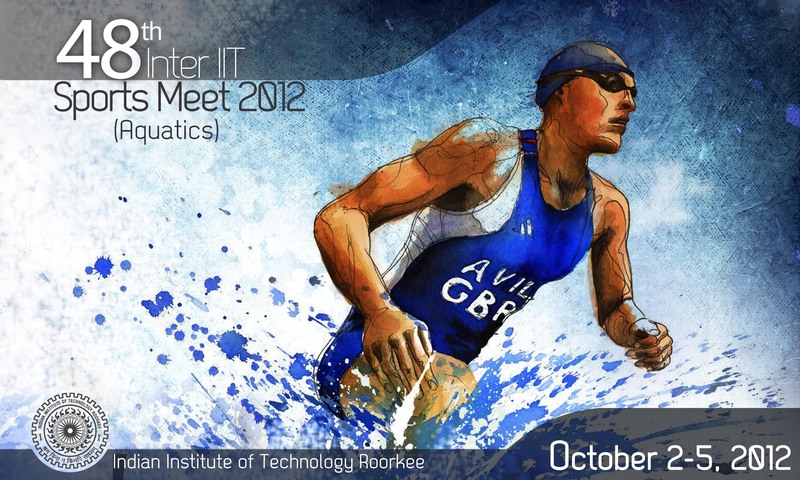 I used icons and contrasting color to reflect the strength of the event. 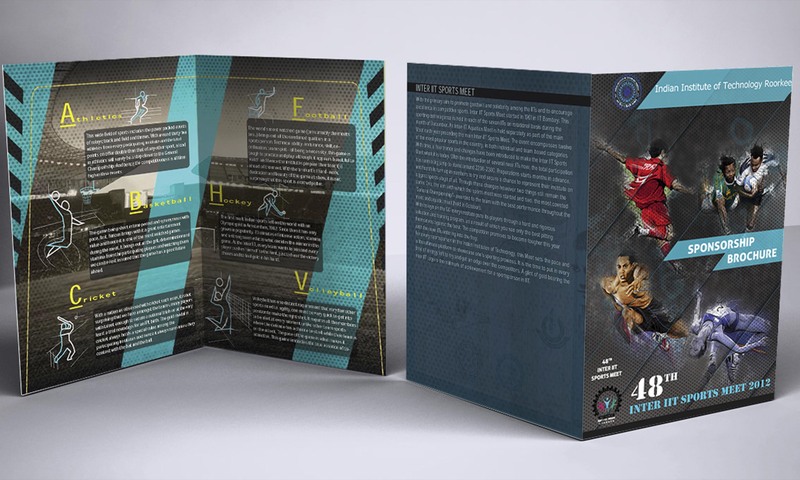 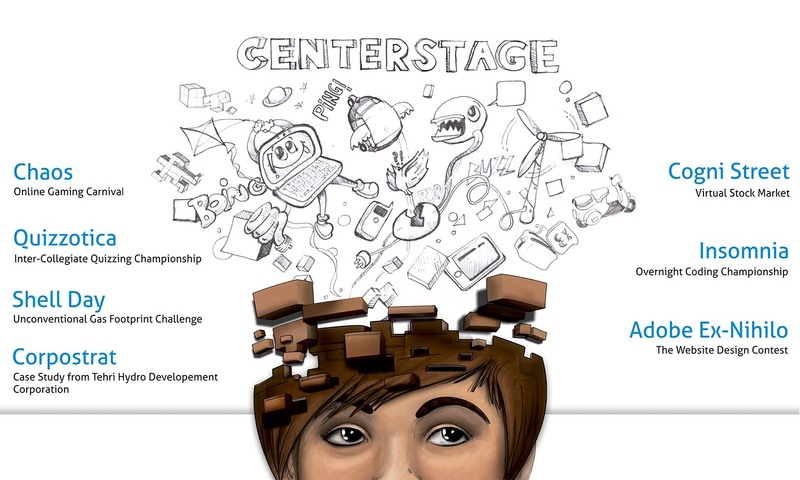 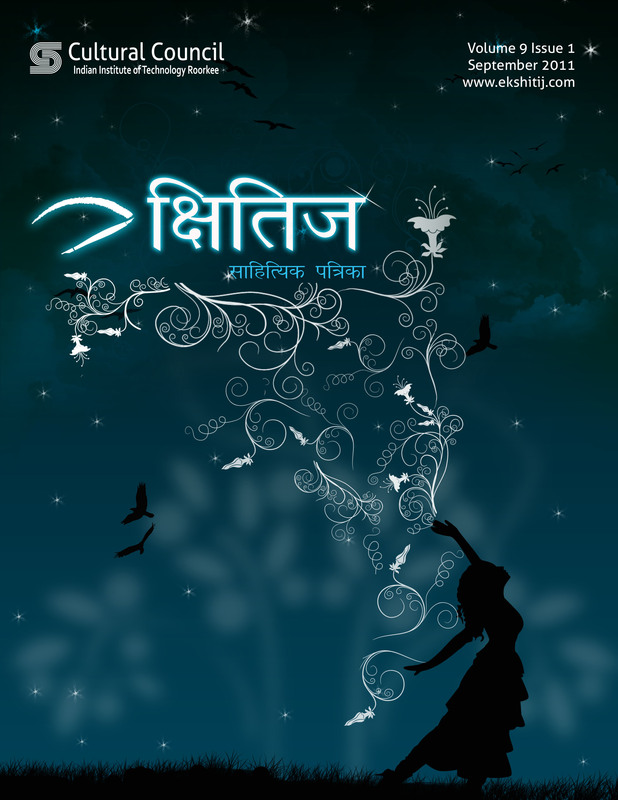 Sponsorship brochure received loads of appreciation for its design and brought significant impact on the overall fest. 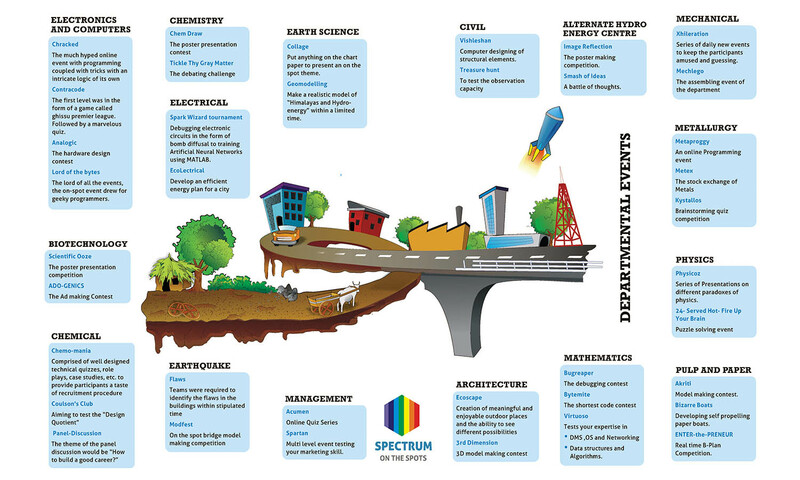 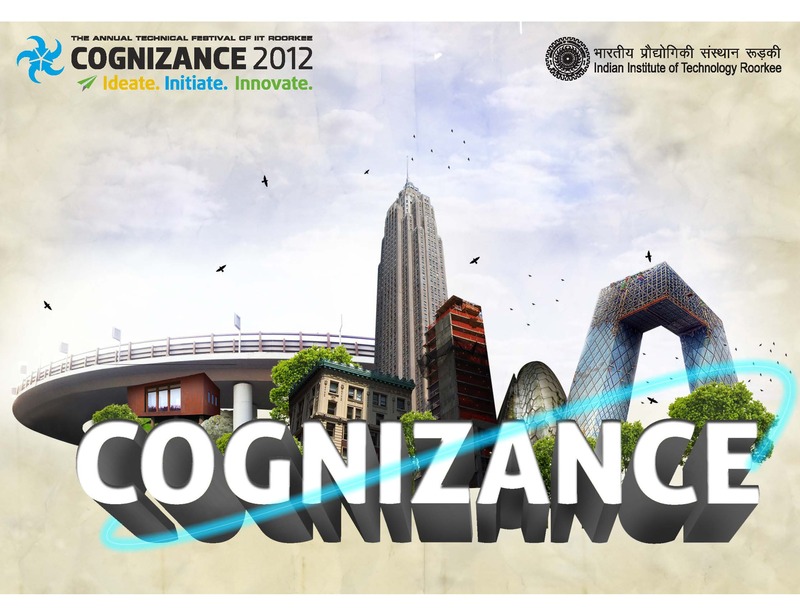 Cognizance is the technical fest of IIT Roorkee which is conducted on a massive scale with more than 1000 participants from all over the country. 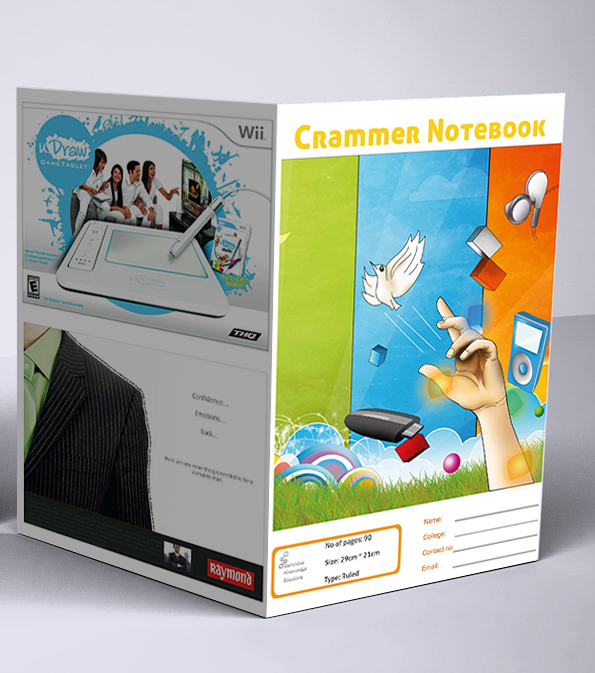 I worked as design co-ordinator for the event assisting design manager in developing wireframes for website and developing visual designs for posters and flex.